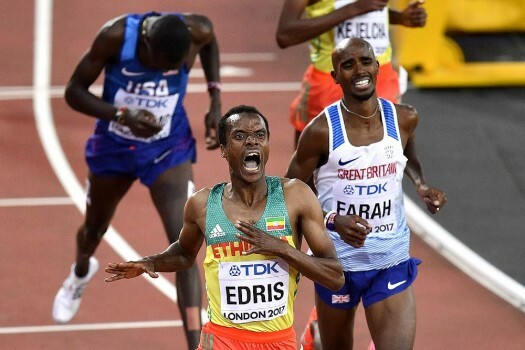 Ethiopia's Muktar Edris, left, celebrates after winning the Men's 5000 meters final at the World Athletics Championships in London. 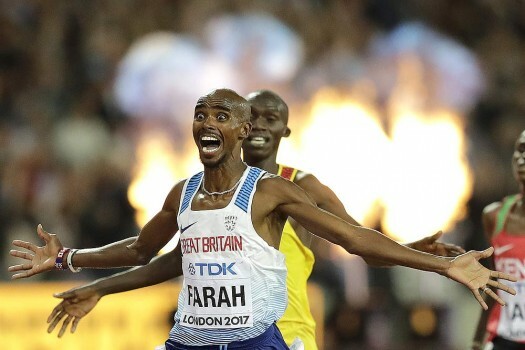 Britain's Mo Farah, left, celebrates after winning the Men's 10,000 meters final during the World Athletics Championships in London. 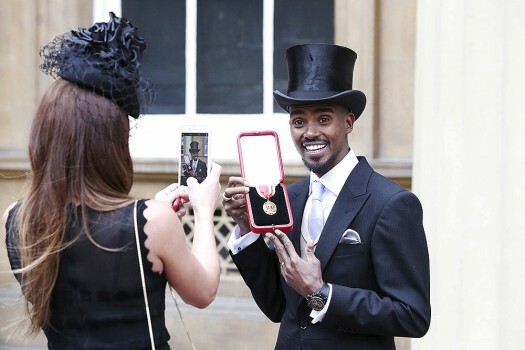 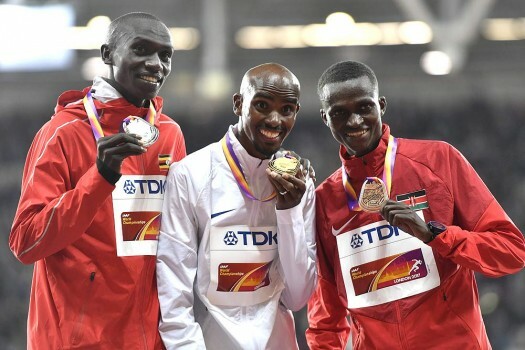 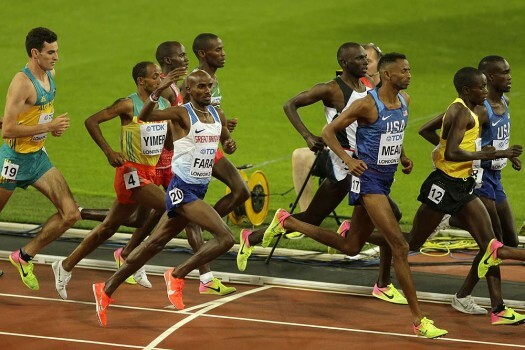 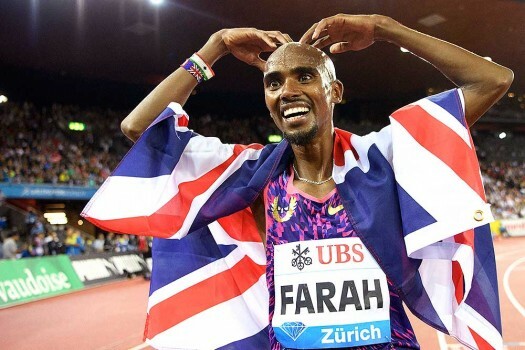 Britain's Mo Farah, center, asks the crowd for support on his way to winning the gold medal in the Men's 10,000m final during the World Athletics Championships in London.